The Department of Commerce is a team of five members whose aim it is, not only to satisfy the vocational needs of the students but also to provide a basic understanding of the various principles, procedures and practices related to business. Our students are equipped with the entrepreneurial outlook and attitude so that they are motivated to take initiatives with calculated risks. Emphasis is put on imbibing practical skills such as presentation, communication, analytical skills and problem solving. Project work, organisation of seminars and workshops and taking up field work gives our students an opportunity to learn by doing. Interaction with the industry is established through lectures given by eminent professionals and internships with the help of alumni. 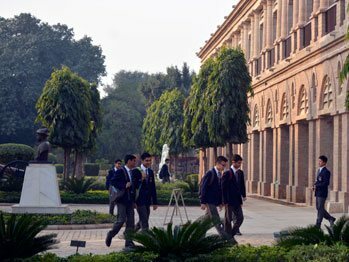 Economics, Accountancy and Business Studies in particular have produced stellar results in the Board Examination. Constant efforts are made to create awareness about global and national financial issues in the entire school fraternity through morning assemblies taken up by the Department. The learning of Commerce is assessed both as a knowledge subject and as a skill subject. Apart from testing the learning outcomes through formal and informal ways we assess the skills of the students by exposing them to frequent brainstorming sessions on important issues and concepts. 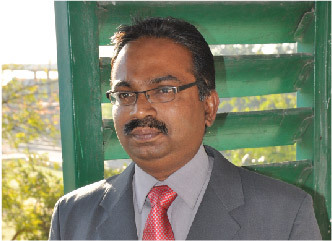 Mr Ashok Kumar Shivraman, from the faculty of Commerce, has 18 years of teaching experience. 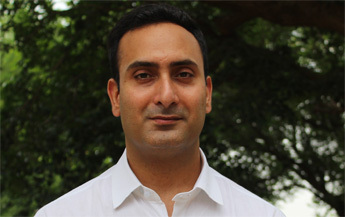 He has been teaching Accountancy and Business Studies at the Scindia School since July 2008. 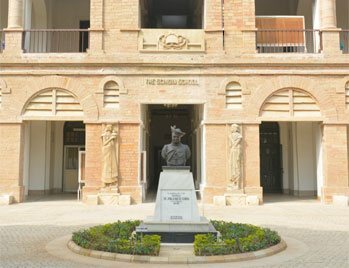 In addition to his academic role he is also the In- charge of the ‘Inquisitive Society’. In this he aims to impart to the students, skills to comprehend and analyse events in an effort to rationalize phenomena. He is also the coordinator for the Coordinator of the Commerce Department and the accreditation process of the school and is a member of the editorial team of the Business Bugle. Mr Shivraman's mantra in life is to have high aspirations and moderate expectations. He believes in making the students imbibe values of righteousness to enable them to become true citizens of the world. He firmly believes in and works towards creating a healthy learner- centred environment in which every child is genuinely respected and heard. The prolific praise that he receives from his students motivates and inspires him. Mr. Manas Mukhoti brings with him an experience of almost two decades. In his most recent assignment he was working as the Chair of Economics in a reputed boarding school of the country. 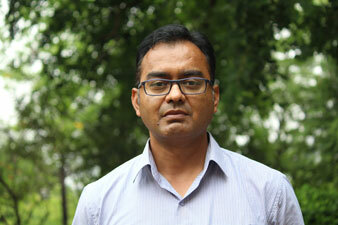 He has also been an IB examiner for Economics and is known for igniting a drive in his students to excel. Mr Ashish Arora joined the school on June 08, 2017 as the teacher of Business Studies. He is a Post Graduate in Commerce. Mr Arora has a total of 9 years of experience as a Housemaster & Head of Department of Commerce in Kasiga School, Dehradun. He also has 4 years of industrial experience as voice & accent trainer. Having dabbled in various areas in his previous assignments, he has had a sharp learning curve. 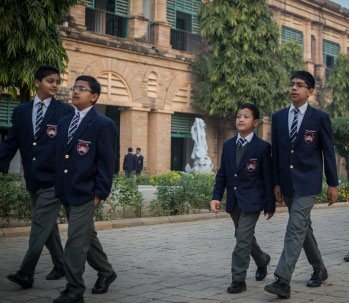 Ashish is deeply entrenched in the culture and ethos of the Boarding School system and is well conversant with the dynamics of education. An avid reader his tastes are eclectic and he enjoys reading different genres. Mr Bhavin Oza joined The Scindia School in July 2016 as an Economics teacher. He has done an M.A. in Economics from Jyoti Vidhyapeeth University, Jaipur and an M.Com in Accountancy from Mumbai University. Prior to joining The Scindia School, he served several other prominent institutions for almost 11 Years. He is a very talented person with multifarious interests. He is a singer, actor, comedian, mimic, artist and an astrologer. His talents help him establish a unique connect with people, particularly his students. 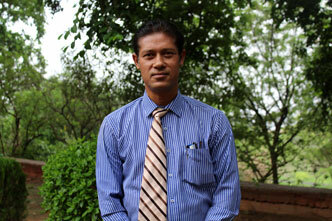 He is a passionate teacher and performance of his students is the single motivational factor for him. He considers himself lucky to be in a profession where he can mould the character of his students and help shape their destinies. 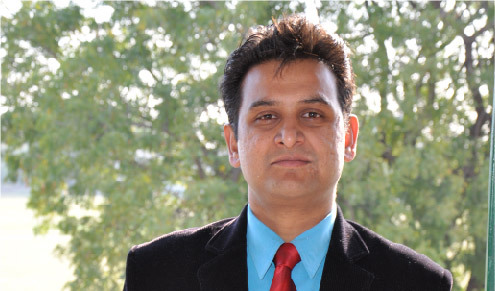 Mr Vishesh Sahai started his professional career as an Economics teacher with The Scindia School in 2001, soon after completing his Post-Graduation in Economics. He also completed his B.Ed. from IGNOU in 2008. He was the Housemaster of Ranoji House. Mr Sahai likes to make friends and loves travelling. 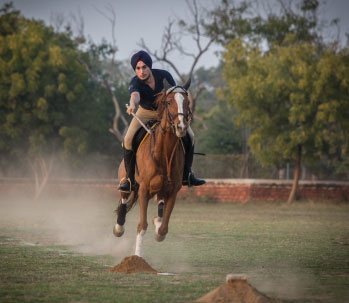 He is a keen sportsman with special interest in Yoga, Tennis, Cricket and Swimming. He also likes to sing and play the Guitar. His love for cooking led him to initiate the 'Food and Hospitality' hobby in school, which is now much sought-after. He is the Staff Editor of the school’s fortnightly newsletter – Review; perhaps the only one outside of the English Department ever. He is the Master in-charge of Tennis, is a member of the International Exchange committee and the Round Square committee. His students like him for his emotional connectedness and colleagues find in him a sincere and trustworthy friend. He describes himself as somebody who never regrets the past and always looks ahead in life. He wants the students to be away from the ‘rat race’ and instead become lifelong learners in fields of their own interest. 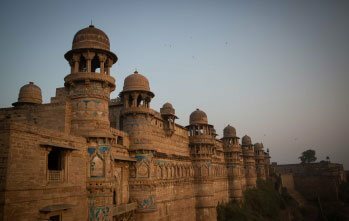 The wonderful life on the fort and the satisfaction of contributing in the lives of youngsters motivates him to be a teacher. 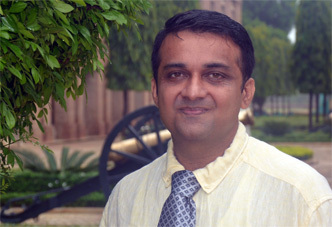 Mr Shailesh Agarwal, from the faculty of Commerce, has been working with the Scindia School since December 2010. He has a master's degree in Commerce and has also qualified the prestigious SLET exam of Jharkhand, conducted by the Jharkhand Public Service commission. He has a rich 15 years experience of working in various reputed schools in different parts of the country. Mr Agarwal has a passion for exploring new places and loves listening to music. As the Master in Charge of the Business Bee Club of the school he has been able to provide a platform for the future entrepreneurs. An excellent teacher he has also received a letter of appreciation from the Ministry of Human Resources, Government of India. His desire is to contribute meaningfully to the lives of students so that they shine in whichever field they choose for themselves. Commerce is taught through the use of apt teaching methods for transacting practical skills and making the students oriented towards the industry. The Department takes out a Bi-monthly Commerce Newsletter, ‘Business Bugle’ and observes Commerce week once a year covering various aspects related to the subject. The Department also runs the Business Bee Club where students and teachers together explore different aspects of Business/Commerce. The Club had put up an exhibition during the Founder’s Day, 2014 (ARTMART DUKAN) which gave the students a real life experience of conducting a business transaction.